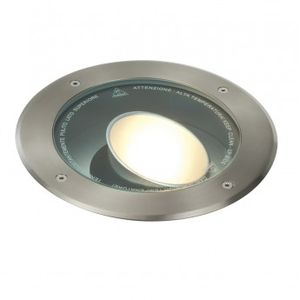 67405Recessed ground light with a driver on board ..
67406Recessed ground light with a driver on board ..
Lighten up your steps with recessed floor lights. Recessed floor lights are built to withstand large amounts of weight (ie people stepping on them) and provide scenic lighting. They are small in size but large enough to brighten up any pathway. This range includes walk over lights suitable for indoor use (some are also suitable for outdoor use also) and installed by being screwed into place tightly. These are a treat for any modern design enthusiasts as they are currently fashionable within the modern home sense. You can grab yourself one which is square shaped or circular shaped, both of which provide the same amount of brightness and both will be within the same cost range.